The way we do business. 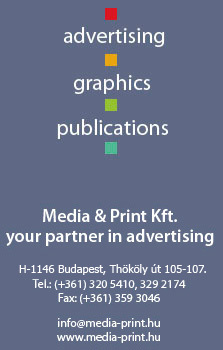 Media & Print explores and uses new opportunities in the rapidly changing world of technology and communication in order to turn them, by the expertise, imagination and commitment of the people who work for us, into solutions that serve our clients' needs best. The presentations on the following pages will give you a thorough understanding of the advertising and marketing communication development skills at Media & Print. If you have a topic of specific interest, please get in touch with us. We will provide you access to the appropriate presentations.